So as you can guess from the title, we spent the last three days visiting museums and other archival institutions of sorts. I personally would have prefered to try to disperse the experience out a bit, but our time in New York is quickly running out and if we were going to see them before we leave, it kind of had to be in rapid succession. Starting on wednesday we went to the Museum of the Moving Image. Overall I thought it was an incredibly neat place, and if I had more time I'd really like to be able to come back once they rotate their collection around a bit. It was explained to us that they have a rather large collection, but comparatively a rather small museum space, so they only can have roughly 1.5% of their collection on display at any one time. The museum holds records of everything dealing with the history of the moving image, from early optical illusions, to the Edison kinetoscope, to movies, television, and video games. They had a lot of hands on project areas obviously built with school children in mind, but none-the-less was very exciting. Most notably for me, they had a pretty cool collection of video games. They had the game system built by...some guy, forget his name right now. 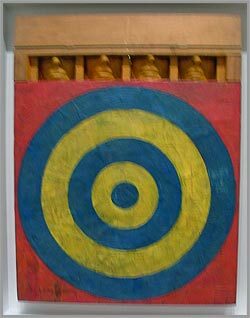 Anyway, one of the games available on the hardware he produced was a game of table tennis. 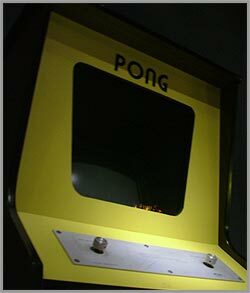 A little while after he made this, a fellow by the name of Nolan Bushnell saw it, copied it, and sold it as a little videogame named Pong. Yeah... and I got to play it. Sadly, I didn't think to get anyone to take my picture as I was playing this. Oh well. 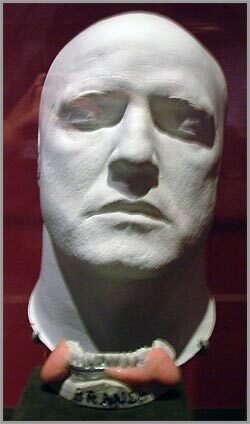 The mouthpiece worn by Marlon Brando for the Godfather movies. The (a?) 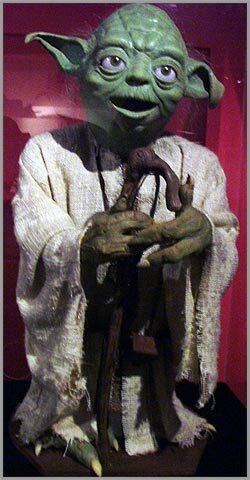 original puppet of Yoda used in the first three Star Wars movies. 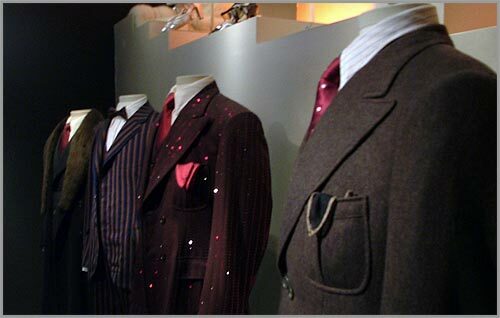 A collection of the wardrobe used in the film version of Chicago. 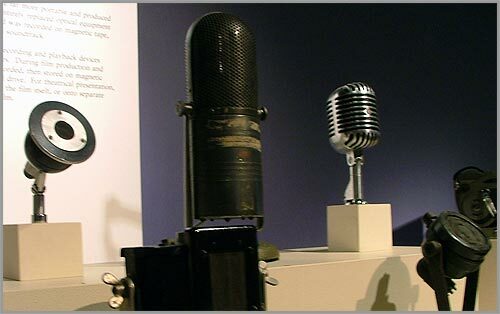 In addition to having an impressive collection of film and television memorabelia, they also had a large amount of production equipment, including an impressive array of mics used in films over the years. 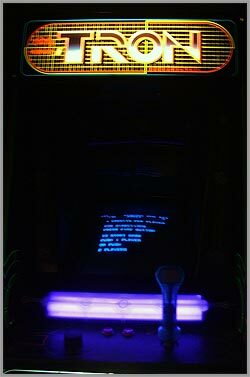 Original Tron and Pong cabinets. The Pong cabinet wasn't on/working, but the Tron one was. I played it for a bit, but came to realize that it's true that they've made games a whole lot easier over time, and gave up after it gave me a good whipping. After we were done with the Museum of the Moving Image, we moved on to the Museum of Modern Art (MOMA). The MOMA was pretty fun. It had a wide range of art, ranging from a massive Monet to the traditional non-sencical modern art such as several basketballs floating in a fish tank. My favorite part of the trip to the MOMA was actually realizing how much I retained from my Art Since 1945 art history class I took last spring. 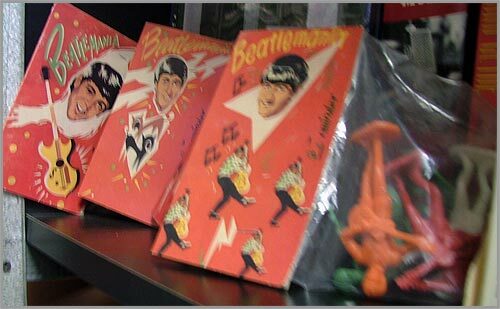 They had a very nice collection of pop art (which I especially enjoy). They also had a lot of Picasso. Like... 5 rooms of Picasso. 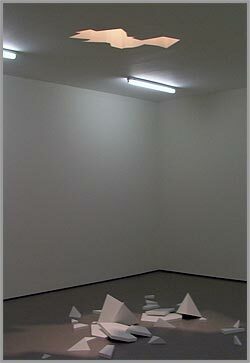 I respect what he did for the art world and all that, but it was a bit excessive in my opinion, but that's just me. 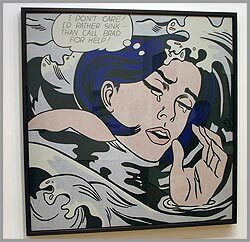 My favorite Lichtenstein ever. I was so excited to stumble upon this. 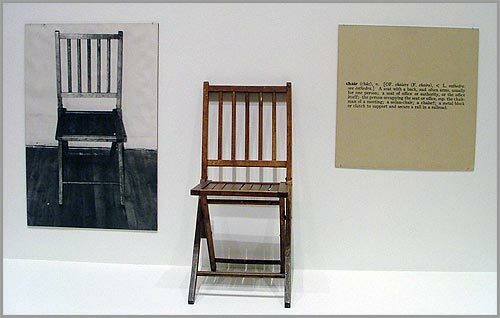 Joseph Kosuth's "One and Three Chairs." Ever since I first saw pictures of this a few years ago I thought it was quite an impressive piece, especially when confronting issues about iconography. Japser Johns' "Target with Three Faces." Much like Lichtenstein, this is one of my favorite Johns' pieces, and I was tickled to see it. This one looked pretty cool, I didn't recognize the artist though. After the MOMA we all raced downtown to attend a cocktail party. Some trustees of Carleton College were hosting a fairly large (about 100 people in attendance) cocktail party for Carleton alums, trustees, and our group. We were actually a rather central figure in the night's activities, as John gave a fairly long speech about how great our trip is, what fantastic things we're doing, and why alums should feel good about giving the college money. Ok, so he didn't actually say the last part, but I think it was implied. 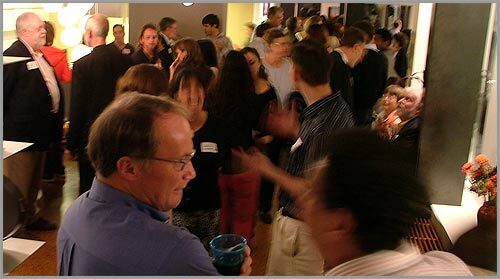 A shot of the cocktail party. Early on Thursday about half the group went down to the Whitney Museum of American Art. It was a smaller museum compared to the MOMA and especially the Met, but it had a fairly impressive collection from what I could gather. John arranged a guided tour of the big exhibit there right now for our group. The exhibit focuses on Picasso's influence on American painters of his time. 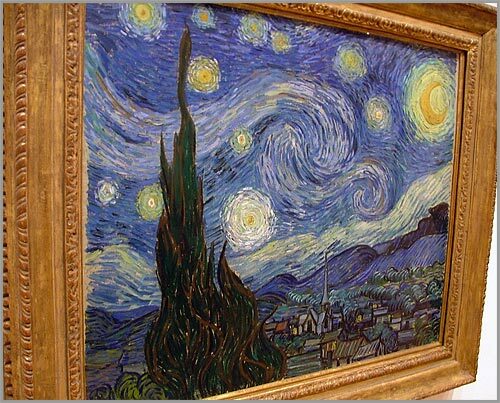 It was fairly interesting, with American works of art set side by side Picassos. Unfortunately, the Whitney didn't allow any photography at all, so no pictures for Mr. Blog. It was quite unfortunate as they had one of my favorite Warhol pieces on display: "Nine Jackies." After we were done with the Whitney, one other student and I decided that it would be fun to hike on over to the Metropolitan Museum (the Met). In retrospect I regret not taking a picture of the exterior to show off how truly gigantic this building is. We had about 2 hours and fifteen minutes to explore the museum before they closed for the day, and we were able to hastily walk through 4 of their many exhibitions. We started with the Egyptian area, hoping to see some mummies, but alas, there were none. We then moved through the Arms and Armor exhibition on our way through the museum, and decided to check it out as it looked really cool. It was, more or less, a collection of war-things. None of the items on exhibit were particularly old, maybe six or eight hundred years at most. But they were quite neat, especially the collection of ancient Turkish guns and Samurai armor sets. We then went over and checked out the Greek and Roman section, which turned out to be tons and tons of vases, with some random things in addition, including some pretty statues. With our last half hour we walked through the modern art corner. I wasn't particularly impressed (considering we had just gone to two museums pretty much specializing in it) but it was pretty cool, none-the-less. Most notable it had one of Jackson Pollack's most famous paintings: Autumn Rhythm. With the Met closing, my adventures for the day ended, and I went back to Ihouse to work on some projects. The wall of an Egyptain temple ruin. 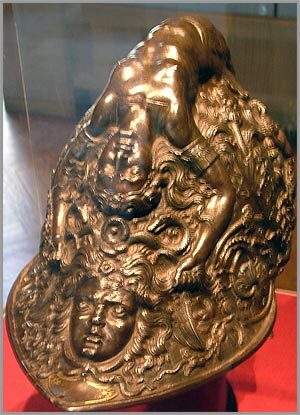 An awesome helmet from the Arms and Armor exhibit. 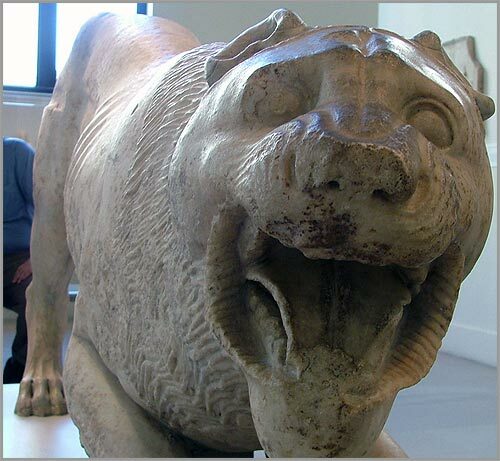 A lion statue from the Greek and Roman art exhibit. 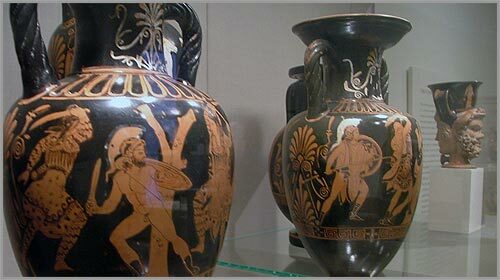 Oh so many Grecian vases. 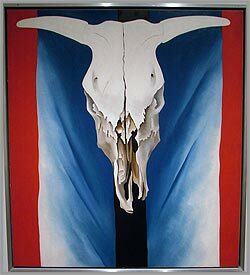 A pretty sweet Georgian O'Keeffe painting. I don't actually know much about her, but I know my mom was a fan. Today we left Ihouse about noon to go to the southern part of Manhattan and visit the Archive for Contemporary Music. We were actually quite lucky to get into the place, as it's not actually open to the public. It turns out that Bob, one of the head guys from the archive, is a long-standing friend of John's. In any case, the archive is really cool. It's their goal to have two copies of every commercial album released since LP's were invented from all around the world. 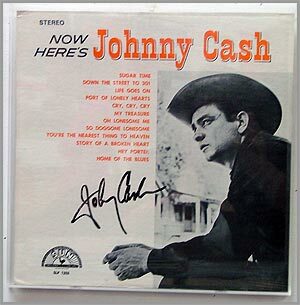 They rely completely on donations, but as it stands they have roughly 2 million albums in the archive. 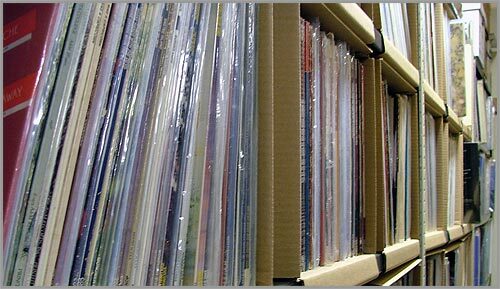 Although, as you might think, it's pretty hard to organize 2 million albums, and as it stands a large amount of the archive is still in roughly organized boxes, or in some cases completely unorganized boxes. In addition to the mind-blowing collection of music, Bob had some pretty amazing stories. 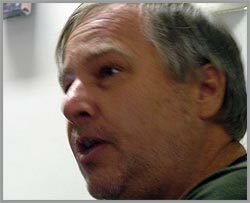 Most notably was how he acquired the help of a Columbian drug cartel in order to get to inland Columbia to attend a music festival. This is Bob. He knows pretty much everything about music and is all around awesome. The archive doesn't only house albums. But that isn't to say that it doesn't house a metric crap-ton of music. Well that's enough for now. What with all these pictures, this post turned out quite large. Tomorrow is Wired Nextfest, and should be a hoot AND a holler. It was a joke. 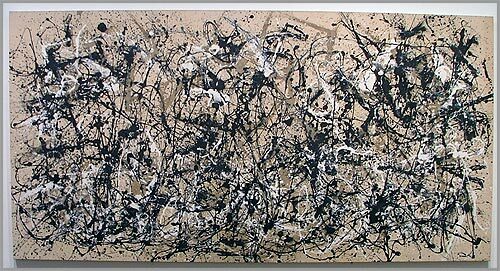 That was probably the most famous piece of art I saw while in New York.